In his book Voodoo Science: the Road from Foolishness to Fraud, Robert Park brings his readers into the world of voodoo science. He starts out with an explanation of voodoo science and also an explanation of science so that the two are not confused and properly understood. Park brings up topics from touch therapy to UFOs, homeopathic drugs to Energy Machines, space travel and much more. 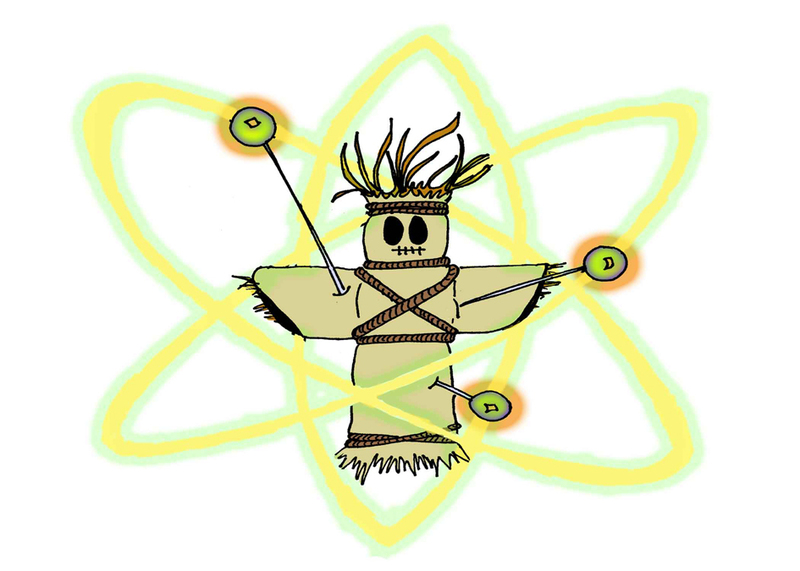 As interesting as these topics may seem, Voodoo Science: the Road from Foolishness to Fraud also introduces the troubles that come along with these idea. With every topic touched upon, Park talks through the book with explanations, testings, and findings, as well as frauds that have come about with these topics. This book shows how difficult it is to believe testimonials and how possible it is to trick the public, including scientists, of these doings. My favorite part of this book is the topic on the Placebo Effect and “natural” drugs. When I was younger I used to do competitive cheerleading. I did not start tumbling until I was in high school; therefore I had a very strong fear of doing flips since I was so much older. My coach’s mother always used organic remedies for anyone who was injured or sick, including “natural” drugs. I remember before going on the mat for competition, she had given my cousin three small white tablets for stage fright before she was to go on to compete. I never understood how a pill could lessen stage fright and thought it may be a cure for my fear of tumbling and considered taking these pills, although I never actually did. To this day I always wondered how those pills helped my cousin. As soon as I read this chapter on placebos, I found the answer that I had always looked for. There were no chemicals in these white pills that prevented stage fright; it was all in my cousin’s mind. My cousin, as well as others who have taken these drugs, thought that the drug had caused her to lose stage fright and was no longer nervous. This chapter interested me so much because of my curiosity. It also gave me a laugh to realize my cousin believed for something so silly and to see how people waste their money on something that actually does no more for them than they could do for themselves. Voodoo Science: the Road from Foolishness to Fraud relates to class because it is all about pseudoscience and making the public aware of the things that they tend to believe are true, when in actuality are not. As with the Q-ray bracelet, subliminal self-help tapes, alien abductions, and bogus therapies, this book relates to class by exposing the reader to the truths behind these believed to work ideas. I really feel that this book is a great read for anyone. It releases the truths of voodoo science and how easily the public is tricked into believing fraudulent material that is “meant to improve lives.” It makes the reader realize what types of treatments and stories are believable and those which are not. It does not contain difficult words and is short and to the point. It is a book than anyone can enjoy and understand. Once people start realizing what they can and cannot trust, the fraudulent “scientists” will be able to be stopped and less people will be scammed out of their money. Their will always be people who believe in voodoo science and its possibilities, but the more truths that leak out about them, the better off everyone else is.